What is Your Ideal Flatbush Avenue? Comments Off on What is Your Ideal Flatbush Avenue? The Flatbush Avenue Business Improvement District (BID) requests your participation in taking the Flatbush Consumer Survey. Help existing business owners in the BID meet the needs of their local community better. Attract new businesses, programming, and events to the BID as deemed desirable by the community. We believe that when individuals have a stake in making positive change, the change is likely to be more long lasting, so if you would like your voice factored into the creation of the marketing plan please click here to begin the survey. Don’t forget to include your e-mail address on the survey if you’d like to be entered in the sweepstakes drawing for (1) $100 American Express gift card and to receive information on the BID’s upcoming events, new businesses, and downtown deals! The boundaries of the BID are illustrated in the map below. 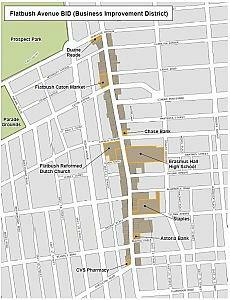 Throughout the survey, we use the term “Flatbush Avenue” as a definition of these boundaries. Welcome to newest Board Member, Marcus Jankie! Marcus has five years practical experience in construction and property development. After several years as project manager in his native Australia (where he was involved in large scale projects including the Melbourne Convention Centre), Marcus joined NYC-based RW Real Estate Group which owns and operates over 50 properties in NYC, Connecticut, and New England including a large property on Flatbush Avenue. Huge thanks to Tim King of CPEX Real Estate and the Coro NY Leadership Center for helping the BID find our newest Board member! We still have several Board vacancies. 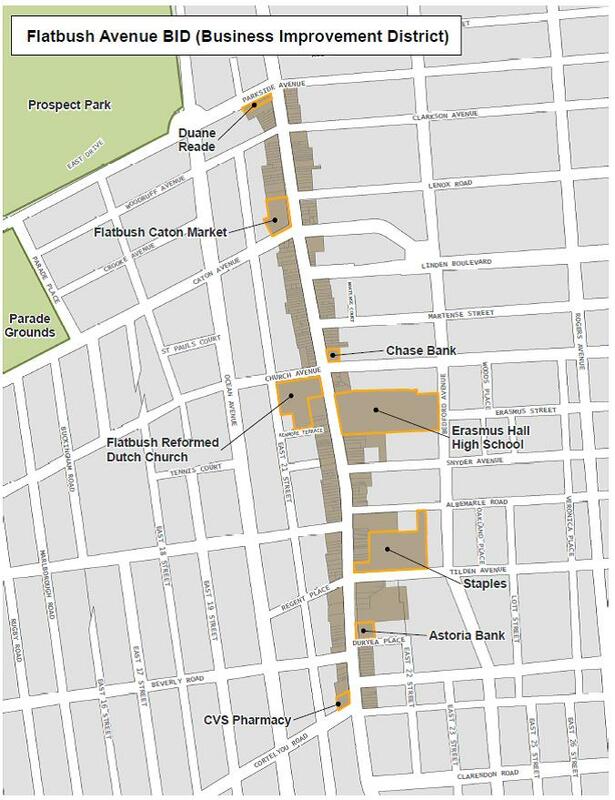 If you own commercial property on Flatbush Avenue from Parkside Ave. to Cortelyou Road and are interested in finding out more about how you can help shape the future of Flatbush Avenue, please contact our Executive Director, Lauren Elvers Collins, at FlatbushAveBID1@gmail.com or call 718-282-2500, x79234.